[S2] Index of BDM records, NSW BDM, Place of Registration: Newtown; Year: 1881; Number: 6156. [S2] Index of BDM records, NSW BDM, Place of Registration: Glebe; Year: 1884; Number: 7398. Name Variation John Menz was also known as Johannes Menz. [S208] Certificate, marriage, for Alfred Mutch and Clara Menz. [S2] Index of BDM records, NSW BDM, Place of Registration: Wagga Wagga; Year: 1900; Number: 2289. [S2] Index of BDM records, NSW BDM, Place of Registration: Tibooburra; Year: 1924; Number: 10258. [S2] Index of BDM records, NSW BDM, Place of Registration: Wagga Wagga; Year: 1904; Number: 11334. [S2] Index of BDM records, NSW BDM, Place of Registration: Junee; Year: 1916; Number: 6107. She was the daughter of William Clark and Katherine Eliza White. [S2] Index of BDM records, NSW BDM, Place of Registration: Bombala; Year: 1934; Number: 4554. [S2] Index of BDM records, NSW BDM, Place of Registration: Cooma; Year: 1910; Number: 37483. He was the son of James Ingram and Susannah Oxford. Marriage 15 April 1838 Rice was married to Jane Wyatt on Sunday, 15 April 1838 at Donhead St Marys, Wiltshire, EnglandG. 1838 Rice Ingram was a passenger aboard The Ship Fairlee which sailed from Plymouth, Devon, EnglandG, in 1838 and arrived in Sydney, NSW on 1 December 1838. [S2] Index of BDM records, NSW BDM, Parish of Registration: Church of England, Maitland West; Year: 1852; Number: V1852705 38C. [S2] Index of BDM records, NSW BDM, Parish of Registration: Presbyterian, Maitland; Year: 1841; Number: V18414863 121B. [S2] Index of BDM records, NSW BDM, Parish of Registration: Church of England, Maitland; Year: 1843; Number: V18432590 28. [S2] Index of BDM records, NSW BDM, Parish of Registration: Church of England, Maitland; Year: 1845; Number: V18452792 30A. [S2] Index of BDM records, NSW BDM, Parish of Registration: Church of England, Maitland; Year: 1848; Number: V18482639 33A. [S2] Index of BDM records, NSW BDM, Parish of Registration: Church of England, Maitland; Year: 1852; Number: V18523342 39A. [S2] Index of BDM records, NSW BDM, Parish of Registration: Church of England, Maitland; Year: 1854; Number: V18542787 40. [S2] Index of BDM records, NSW BDM, Place of Registration: Maitland East; Year: 1856; Number: 5423. [S2] Index of BDM records, NSW BDM, Place of Registration: Maitland; Year: 1860; Number: 8268. [S2] Index of BDM records, NSW BDM, Place of Registration: Patricks Plain; Year: 1862; Number: 12115. [S2] Index of BDM records, NSW BDM, Place of Registration: Maitland; Year: 1867; Number: 11410. [S2] Index of BDM records, NSW BDM, Place of Registration: Maitland; Year: 1870; Number: 12484. [S2] Index of BDM records, NSW BDM, Place of Registration: Maitland; Year: 1873; Number: 12889. [S2] Index of BDM records, NSW BDM, Place of Registration: Cassilis; Year: 1876; Number: 9955. [S2] Index of BDM records, NSW BDM, Place of Registration: Cassilis; Year: 1880; Number: 12332. Married Name 1852 As of 21 September 1852, her married name was Ingram. May 1858 Samuel Ingram was a passenger aboard The Ship Mary Bangs which sailed from New York, USAG, in May 1858 and arrived in Port Philip Bay, Australia on 7 August 1858. [S462] Jeanette, "Descendants of Samuel Ingram," e-mail to Robert Mote, 20 May 2004. [S815] Barbara Andrews, "Samuel Ingram's Marriage," e-mail to Robert Mote, March 2009. Birth Catherine Sherlock was born at Dublin, IrelandG; according to the birth registration of her daughter Mary Ann in 1861. Married Name 1842 As of 29 August 1842, her married name was Ingram. May 1858 Catherine Sherlock was a passenger aboard The Ship Mary Bangs which sailed from New York, USAG, in May 1858 and arrived in Port Philip Bay, Australia on 7 August 1858. Birth circa 1819 Jane Wyatt was born circa 1819; based on her reported age of 33 when she died. Marriage 15 April 1838 Jane was married to Rice Ingram, son of James Ingram and Susannah Oxford, on Sunday, 15 April 1838 at Donhead St Marys, Wiltshire, EnglandG. 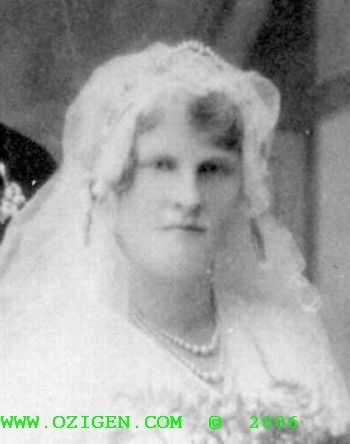 Name Variation Jane Wyatt was also known as Jane Haskill. Married Name 1838 As of 15 April 1838, her married name was Ingram. 1838 Jane Wyatt was a passenger aboard The Ship Fairlee which sailed from Plymouth, Devon, EnglandG, in 1838 and arrived in Sydney, NSW on 1 December 1838. [S2] Index of BDM records, NSW BDM, Parish of Registration: Church of England, Maitland; Year: 1852; Number: V18521654 38B. 1838 The Ship Fairlee sailed from Plymouth, Devon, EnglandG, in 1838 with Rice Ingram and Jane Wyatt aboard and arrived in Sydney, NSW on 1 December 1838.